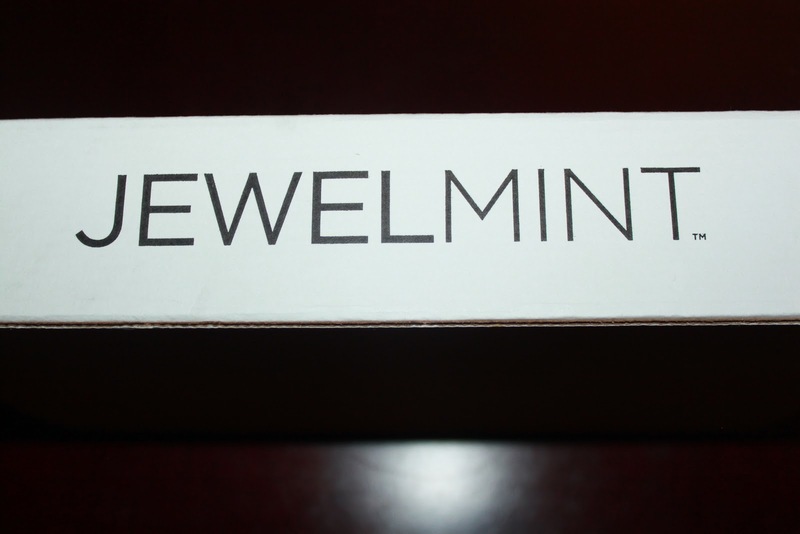 I received an email a couple of weeks ago from Jewelmint with a very enticing offer. For $1 they would send me three NEW STYLES of jewelry and I could "try them out" for 30 days. If I wanted to return all three, I could. If I wanted to keep all three I could and just pay the price of two. Obviously I jumped on that offer as I LOVE Jewelmint, but it's not always in the budget as much as it used to be. 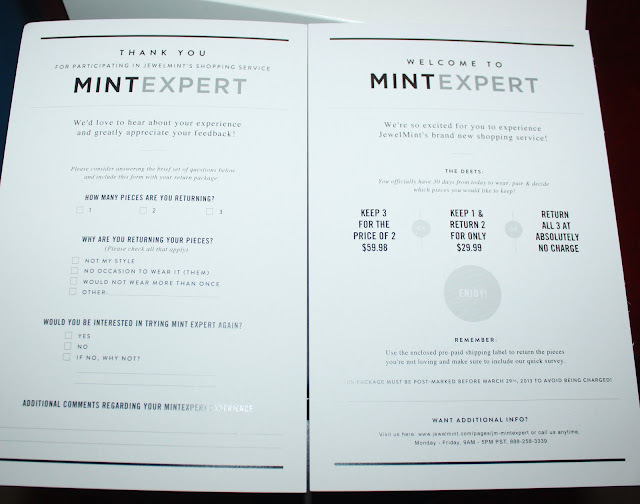 The cool part about the Mint Expert offer is that you do not get to choose the pieces that are sent. I honestly can say I would have not bought any of these items. However, I am now in love with all 3 and have a very hard decision on my hands. What do you think? Did anyone else participate in this offer? Such a fun deal! 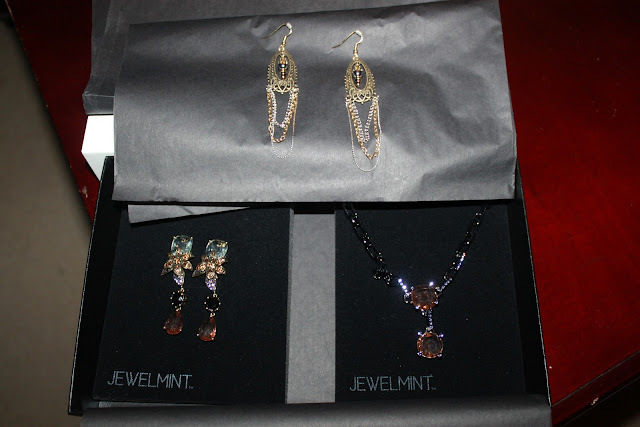 My fave is the necklace on the right.